Timber Wolf Damascus Steel Spiral Dagger With Leather Sheath - Damascus Steel Construction, Ridged Handle - Length 9” | BUDK.com - Knives & Swords At The Lowest Prices! 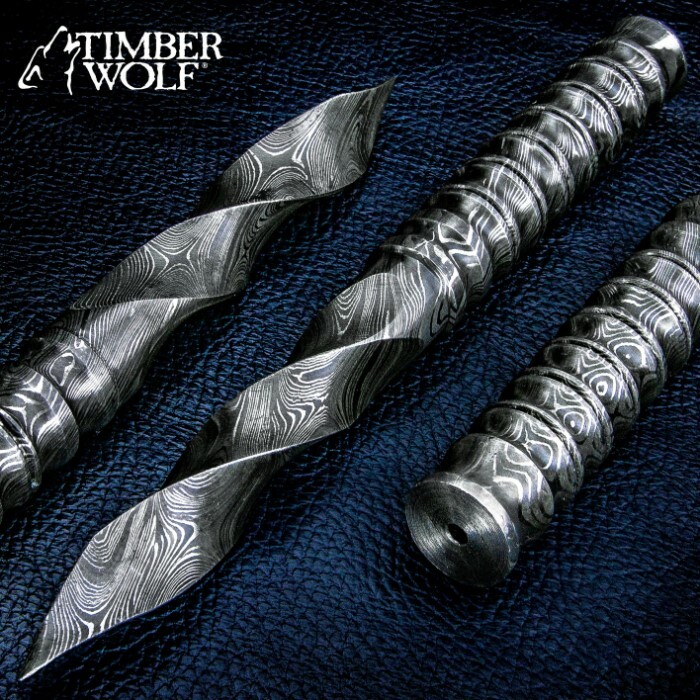 When you hold the solid, no-nonsense Timber Wolf Damascus Steel Spiral Dagger in your hand, you have no doubt that it was meant for taking care of business. The dagger has a hefty, solid Damascus steel construction with a 4 3/4” blade that comes down into a spiraling point, offering you a tri-edged, bladed profile. The handle has a ridged, stacked design so that it offers you a no-slip, secure grip when you are wielding the dagger. The 9” overall, unique spiral dagger comes housed in a premium brown leather belt sheath with white top-stitching, so that it is right where you need it, when you need it! 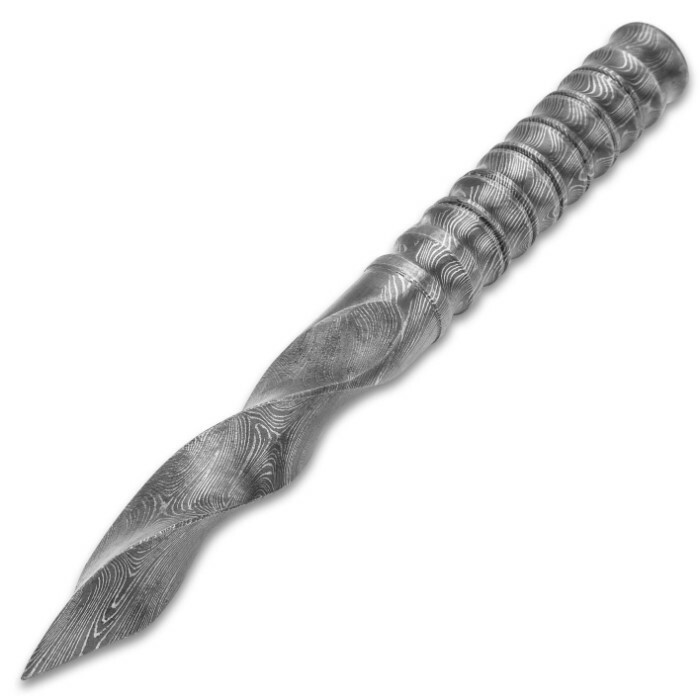 The Damascus Steel Spiral Dagger is unlike any dagger out there and is years ahead in design. Make sure you get your hands on one of these today! See how much you will be charged to have a knifemaker custom forge one of these Damascus spiral daggers! I recieved this in the mail last week and I am very satisfied. It was hand made and boasts a very nice repeating star pattern. Very solid all the way to the handle (mine doesn't have a hole in the end piece? ).